Allen's Automotive was established in 1977 in West Rutland, Vermont by the Allen family. After 40 years in business, and building a great reputation in the community, the Allen's decided it was time to retire. Brian Notte purchased the shop from the Allen's on January 1, 2017—officially starting a new year, a new chapter for himself and his family, and a new life for the Allen's. In honor of the Allen's legacy and hard work building the shop from scratch, Brian decided to keep the name Allen’s Automotive and bring a 40-year-old auto repair shop into the future. Before purchasing Allen's Automotive, Brian spent two decades working in a dealership, gaining all the training and knowledge of modern automotive technology that come with working at the dealer level. 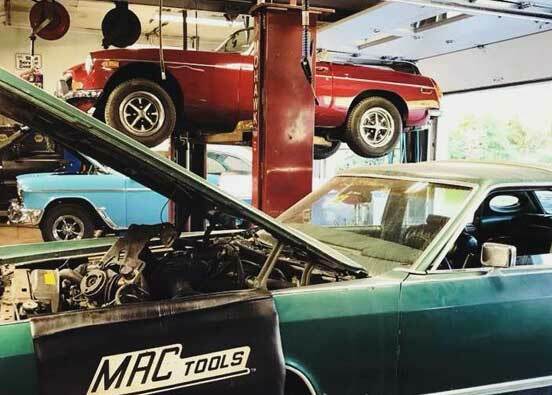 However, after 20 years, he was ready for a change and thought about how he could combine his automotive skill and education with the vibe of a hometown auto repair shop. When he talked to the Allen family about taking over Allen's Automotive, he saw his opportunity. He and his family would become the next generation of local auto repair in West Rutland. Brian Notte has over 25 years of auto repair industry experience. He attended the Auto Tech program at Stafford Technical Center from 1993 to 1995 and graduated from Vermont Technical College with a degree in Auto Technology in 1997. From 1996 to 2016, he worked at Kinney Motors (12 of those years as a shop foreman), becoming a Master Guild Audi Technician and an ASE Master Technician with advanced level certification. 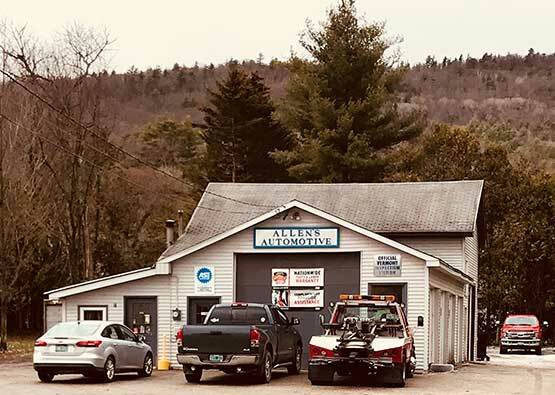 Brian bought Allen’s Automotive in January 2017 and looks forward to carrying forward a 40-year auto repair tradition in West Rutland. Sarah has over five years of auto industry experience, working as the Assistant Service Manager at Formula Ford Lincoln of Rutland before joining our team at Allen’s Automotive in January 2017. She also has over 10 years of customer service experience and over six years of accounting experience, working at local businesses such as Vermont Castings, Tozier’s Restaurant, and Marker Volkl USA. From 1998 to 2000, Sarah attended the Business Management program at Randolph Area Vocational Center.